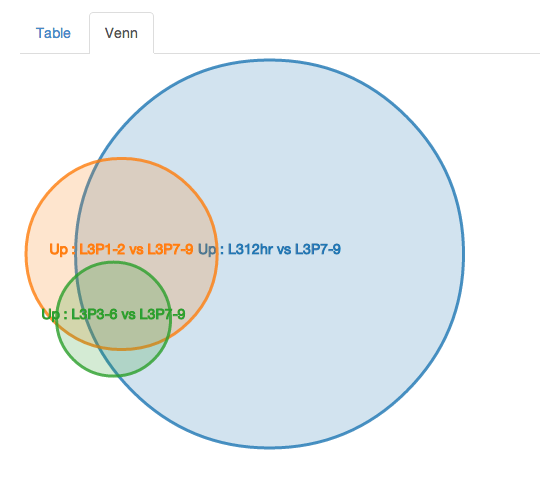 I recently added a new option to Vennt which makes it easy to directly visualize the output from your Tophat/Cufflinks/Cuffdiff analysis. This is particularly useful when comparing multiple conditions in a single Cuffdiff run. Vennt will produce an html page which lets you look at the overlaps between each pairwise comparison and to dynamically alter the thresholds for significance. 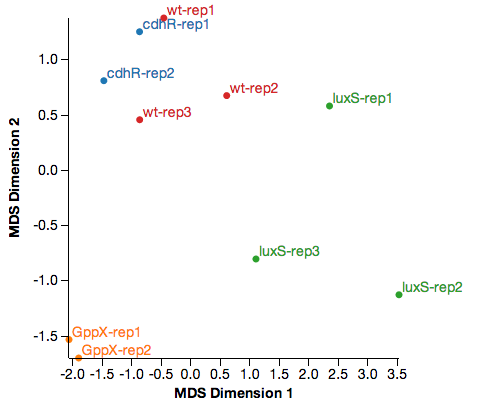 Find the set of genes that are significant in both Mutant 1 vs WT, Mutant 2 vs WT. To try the new cuffdiff feature in Vennt, I found a paper that had shared their Cuffdiff output through GEO. I was able to download the Cuffdiff results, then run the gene_exp.diff file through vennt.py to produce a single HTML file to visualize the analysis results. This particular experiment has 7 conditions making for 21 pairwise comparisons! 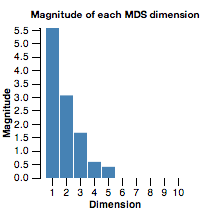 It is much easier to explore this type of experiment with a tool like this (although I'd prefer to use Degust). The resulting HTML file large (39MB) since it essentially embeds the whole expression file. You can try the resulting HTML file for yourself.